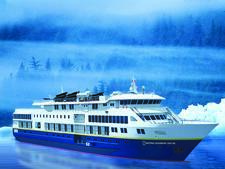 Pretty much the only thing Lindblad's 62-passenger, 95-ton Sea Bird and a mainstream mega-ship have in common is the fact that they both float on water. 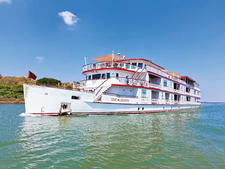 Sea Bird is a utilitarian vessel, not a floating resort hotel. 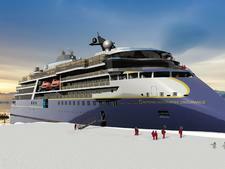 The ship has three decks, no casino and one restaurant venue. While all cabins have windows, no cabin is larger than 120 square feet. Bathrooms are teeny tiny, and the narrow twin beds are immovable, either in an L-shape or with a nightstand in between. The spa is one small room; the gym is a set of three outdoor cardio machines. At night, passengers can't go to a show, sing karaoke or even watch TV in their cabins. 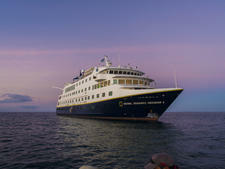 Most Lindblad passengers are not only fine with that -- many prefer it. 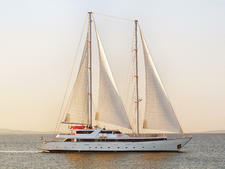 They've come aboard for the fascinating itineraries that get them to remote places big ships can't reach and that teach them about the history, culture, geology and wildlife of the area. Many of Linblad's passengers have never cruised on mainstream lines. They're focused on the destination, and the ship is simply an accessory to exploring a region in depth. The American-flagged vessel hangs out in North America, cruising to Alaska, Baja Mexico and the Columbia River. In Alaska and Baja, the emphasis is on wildlife and active pursuits in and by the water; Columbia River itineraries focus on the journey of Lewis and Clark, as well as the area's geology and culinary production. And, while small-ship cruising does not allow for many of the bells and whistles of the big ships, there are definite benefits. The cruise is extremely social, and passengers are welcoming and friendly, without stooping to one-upsmanship or class hierarchies. Even the travel bragging that can accompany this crowd is benign, with people genuinely interested in one another's travels, rather than trying to be the big man on campus because they've been to Antarctica, Africa and Afghanistan. The food is also surprisingly good. This has much to do with the line's dedication to, where possible, sourcing local ingredients and presenting simple dishes with lots of flavor. And the mostly American crew and staff are hard-working and ready to assist passengers with anything they need. They'll fetch your favorite wine, even if it's not the featured wine at dinner, and they'll find you a bottle of stain remover when you spill said wine on your white sweater. Sea Bird's trips are priced like luxury cruises, but you're paying for the incredible enrichment programming, the best technology to enhance your experience and an intimate experience focused on the passenger. If you can't live without huge cabins, butlers, gourmet dining in multiple venues and showy entertainment, it's not the ship (or line) for you. 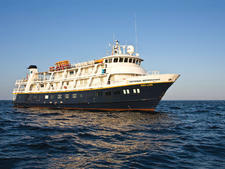 If you want to immerse yourself in a destination and don't mind "roughing it" just a tad -- or if you don't love the mainstream cruise experience but want to see a place best accessed by water -- a Sea Bird cruise might be just what you're looking for. 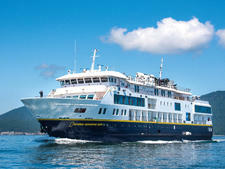 Lindblad passengers hail mainly from the U.S., they're aged 50 and older and they're well-off and well-traveled. Nearly everyone we spoke with onboard had traveled to Antarctica or Africa (or was planning a trip soon) and regularly vacationed internationally. Regardless of age, people were active and adventurous to the best of their abilities, game to try new things and incredibly friendly and interested in getting to know their shipmates. Traveling solo, we rarely had an awkward moment and were welcomed warmly when approaching a dinner table or conversation group. 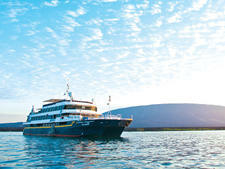 Families are welcome onboard Lindblad trips, and in summer, as many as one-third of the passengers can be kids. Dress onboard and off is casual -- and when Lindblad says casual, it doesn't mean resort attire or "dressy casual'" or those other terms cruise lines throw around. Casual means shorts or jeans and sneakers -- and possibly fleece jackets, convertible hiking pants, sweatshirts, baseball caps and hiking boots. No one will be offended if you show up to dinner in your sweats. Your tablemates probably won't even notice. Pay attention to the packing list associated with your itinerary, though. If you're wavering, don't pack the nice outfit for dinner just in case. Instead, do pack that extra pair of rain paints, hat and gloves, and second pair of shoes you're not sure you'll need. You probably will. In places like Alaska and on the Columbia River, it can be quite chilly in the mornings and evenings, so pack for the temperature lows, not just the highs. There are no laundry or dry-cleaning services onboard, but cabin showers are equipped with pullout clotheslines if you need to hang up wet items. 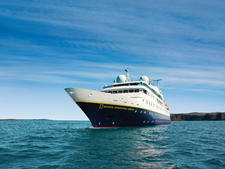 When you pay for an expedition cruise with Lindblad, you're paying for the excursions and the expertise, as well. All activities, including a charter that takes you snorkeling with whale sharks in Baja California Sur, are included in your fare. The fare also covers the use of any onboard equipment, from snorkel gear to kayaks and paddleboards. Wine and beer are included at dinner and during the happy hour recap each evening. Local varieties are available for each. Tips are not included. 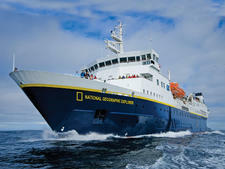 Although the choice to tip is left up to you, Lindblad recommends a gratuity of $12 to $14 per passenger, per day, to be split evenly among the crew. (The wellness specialist, officers and naturalist history staff are not included in this pool.) You may pay by cash, personal check from a U.S. bank, traveler's check (if anyone still uses those) or credit card via your shipboard account. The currency onboard is the U.S. dollar. Your account will be set up with the purser once onboard.